Visit to major Buddhist pilgrimages of Nepal like Swayambhunath, Bouddhanath, Kopan Monastery, Namobuddha, Patan durbar square, Bhaktapur durbar square, Pharping, Tilaurakot, Deudaha and Lumbini. Mesmerizing view of Himalayas like Gaurishanker, Dorje Lakpa, Ganesh, Langtang and Rolwaling Himalayas from Namobuddha. Amazing sight of Kathmandu valley from Swayambhunath and Kopan monastery. Nepal is an important pilgrimage site for Buddhists all over the globe. Nepal is the birth place of Lord Buddha and has many Buddhist shrines. Kathmandu, Lumbini and their periphery have many monasteries, stupas, meditating caves and gompas of Buddhist significance and are visited by thousands of devotees as pilgrimage. Buddhist Pilgimage tour offered by Lovely Nepal Tours include major destinations of Buddhist significance in Nepal such as Bouddhanath, Swayambhunath, Kopan Monastery, Namobuddha, Patan Durbar Square, Pharping Monastery, Lumbini, Deudaha and Tilaurakot. The Buddhist pilgrimage tour package offers the chance to be near the spiritually important and peaceful locations in Nepal. Swayambhunath:- Swayambhunath is among the most sacred Buddhist pilgrimage sites in Nepal. The UNESCO World Heritage site is located on top of the hill in Kathmandu valley. Swayambhunath is commonly called as Monkey Temple due to the abundance of Monkeys along the periphery of the holy shrine. Thousands of visitors are seen including Hindus, Buddhists and tourists from all over. Swayambhunath is hence the site of religious belief and harmony. The hill top offers the magnificent view of Kathmandu valley. 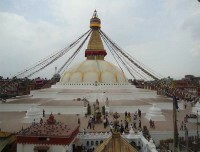 Bouddhanath:- Bouddhanath is one of the biggest Buddhist stupa in the world. Bouddhanath is the most popular destination for the Buddhist devotees in Kathmandu valley. The UNESCO World Heritage Site is the center of Tibetan Culture and is located at eastern part of the capital. Bouddhanath is a major center for Tibetan Buddhism in Kathmandu. Many monks are seen circumnavigating around the stupa along with hundreds of other visitors and is among the most important Buddhist pilgrimage sites in the world. Kopan Monastery:- Kopan monastery is located at a hill north to the Bouddhanath. The monastery follows the Mahayana Buddhism and is home for more than 350 monks and Lamas enjoying teaching practices. We perform excursion around the monastery with many stupas, prayer wheels, statues and enjoy the view of Kathmandu valley from top of the monastery. Namobuddha:- The sacred Namobuddha monastery is located at a hill above Dhulikhel in Kavre district near Kathmandu valley. It is believed that a Buddhist devotee sacrificed his life to feed a hungry tigress and her cubs on this location making it a sacred site for Buddhists. Hundreds of monks are seen learning the religious practices in the monastery. Patan Durbar Square:- Patan durbar square is an poen museum of ancient art and architecture. The city of fine arts, Patan has dense concentration of stupas and temples scattered all over. Some of the famous sites are Krishna Mandir, Hiranya Varna Mahaveer, Mahabouddha, Kumbeshwar, Golden Temple and many others. We can see the ancient arts carved on wooden crafts. Pharping:- Located south of Kathmandu valley, Pharping is a beautiful Newari village with abundance of Buddhist monasteries and temples. Pharping is an important pilgrimage site near the capital city of Kathmandu. We visit different temples, monasteries and caves in Pharping as a pilgrimage tour. Lumbini, Deudaha and Tilaurakot:- Lumbini is the birthplace of Lord Buddha and is the most important pilgrimage site for the Buddhists all over the world. 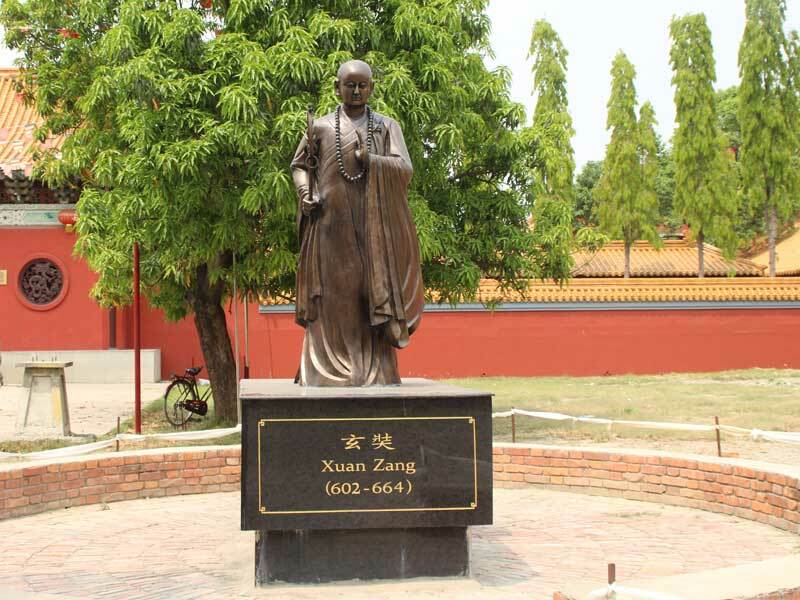 The excursion around ancient monasteries, inscriptions and palaces and other locations with religious significance are the highlights of the Buddhist pilgrimage tour. We drive to Tilaurakot palace (capital of Kapilbastu) and visit major locations around Lumbini such as Kudan, Ramgram Stupa, Sagarhawa, Devdaha and many more. The Buddhist pilgrimage tour is a customizable tour package and number of days can be added or reduced according to your interest and time frame. Lovely Nepal Tours is dedicated in providing best tour packages according to your need and we request you to contact us if the mentioned itinerary didn’t meet your requirements. Day 02:Visit to Swayambhunath and Pharping. Day 03:Visit to Bouddhanath, Kopan monastery and Patan Durbar square. Day 04:Visit to Namobuddha monastery and Bhaktapur Durbar square. 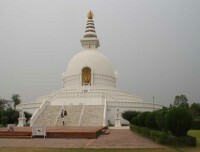 Day 06:Full day sightseeing tour at Lumbini. Day 07:Visit to Deudaha and Tilaurakot. Day 08:Drive back to Kathmandu from Lumbini and enjoy farewell dinner. Twins sharing basis accommodation at 3 star category hotel in Kathmandu with breakfast. All transportation by private vehicles during the tour. Entrance fee in all monuments, monasteries and temples during the tour. Full board meals (breakfast, lunch & dinner) in Lumbini at star category hotel. Professional license holder tour guide. Lunch and dinner whilst in Kathmandu, Pharping, Namobuddha, Patan and Bhaktapur. Tips for the staffs (Tipping is expected). Day 01Arrival at Kathmandu.Representative of Lovely Nepal Tours and Travel will receive you from airport and transfer you to a hotel upon your arrival at the International airport. A short briefing about the next day activities is given and you’ll stay overnight at the hotel. Day 02Visit to Swayambhunath and Pharping.After the breakfast at the hotel, we drive towards Swayambhunath located at the top of the hill. Our well experienced tour guide will provide you with the insight of Swayambhunath. The temple is surrounded by hundreds of Monkeys and hence Swayambhunath is also called as the monkey temple. We head towards Pharping after Swayambhunath. The drive towards Pharping is scenic and the road passes along forest, lake and parks. There is abundance of monasteries and temples in Pharping. We visit the monasteries and local villages in Pharping and return back to Kathmandu in the evening. We stay overnight at the hotel. Day 03Visit to Bouddhanath, Kopan monastery and Patan Durbar square.We visit the sacred and peaceful Bouddhanath stupa in the morning. 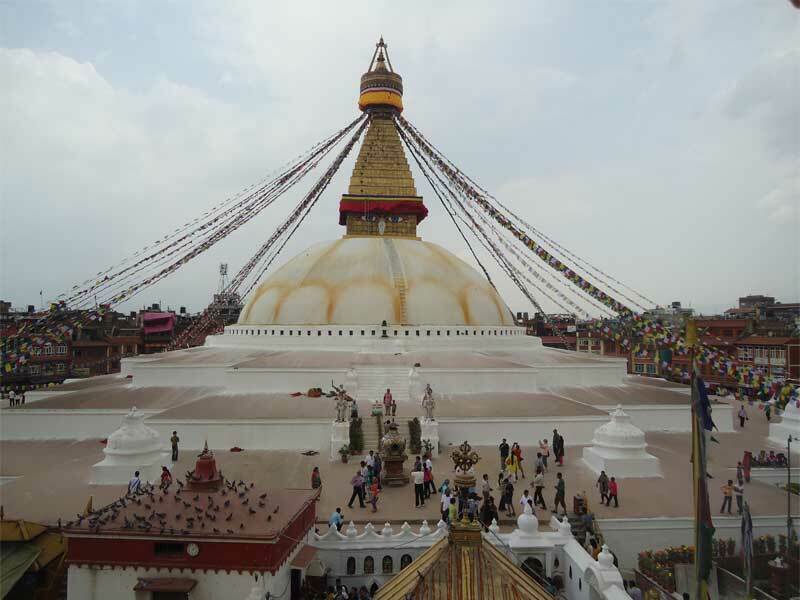 We can observe hundreds of devotees circumnavigating one of the largest stupa in the world. We perform few Koras (walking around the stupa) spinning the prayer wheels. After spending some time amidst the spiritual environment of Bouddhanath, we drive towards Kopan monastery. Kopan monastery is located in a peaceful environment on top of the hill. We explore around the monastery and enjoy a short meditation in the monastery. 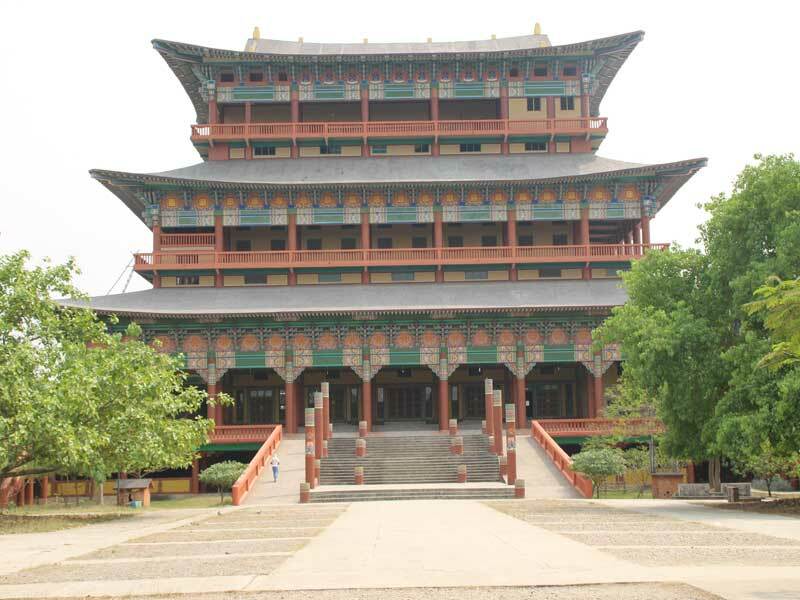 We can enjoy the spiritual environment of the monastery with several stupas, statues and large prayer wheel. We can observe Kathmandu valley from top of the monastery and head towards Patan Durbar square. Patan Durbar square is also called the city of fine arts and beautiful architectures can be seen everywhere around the durbar square. We visit numerous temples and stupas like Mahabouddha, Kumbeshwar, Golden temple, Krishna temple and many others. We enjoy the religious atmosphere at Mangalbazaar and return back to the hotel for the overnight stay. Day 04Visit to Namobuddha monastery and Bhaktapur Durbar square.We drive towards Namobuddha after enjoying our breakfast at Kathmandu. Namobuddha is a beautiful monastery located at top of a hill surrounded by the Tamang settlement. We perform the excursion around the monastery and enjoy short meditation. We can have the panoramic view of Himalayan ranges from Namobuddha. We head towards Bhaktapur durbar square from Namobuddha. Bhaktapur Durbar square is a center to ancient architecture and has a beautiful collection of stone arts, metal arts and wooden carvings. After enjoying our visit to the UNESCO World heritage site we drive back to Kathmandu and stay overnight at the hotel. Day 05Drive to Lumbini.After the breakfast we drive towards the birthplace of Gautam Buddha. The 8 hours drive is scenic and passes through various rivers, forests and villages. We move into a hotel after our arrival at Lumbini and stay overnight. 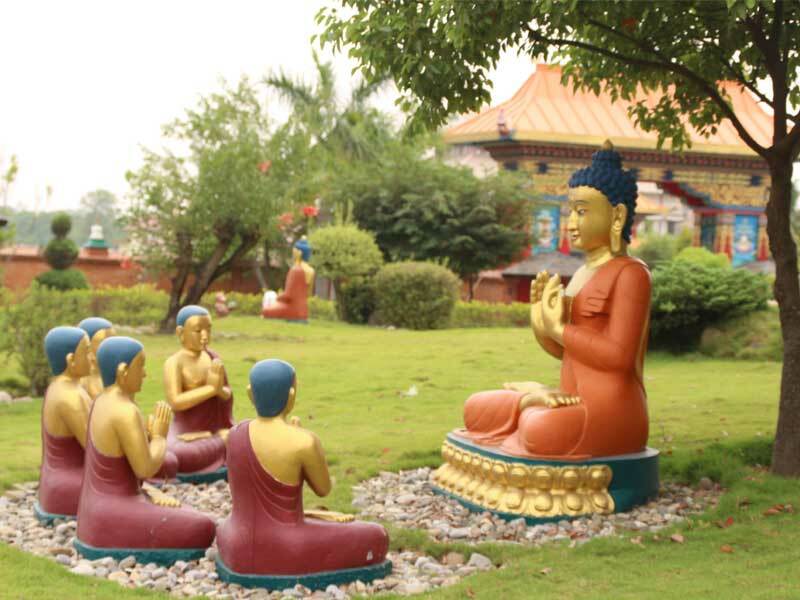 Day 06Full day sightseeing tour at Lumbini.We explore around the birthplace of Lord Buddha which is the most important pilgrimage site for Buddhists all over the planet. There are plenty of monasteries built by several nations and different historical sites in Lumbini. 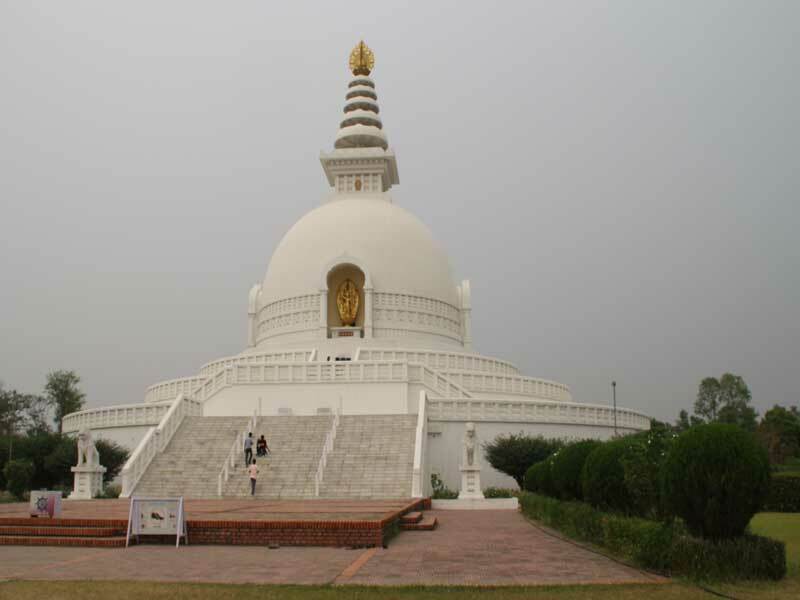 We visit Mayadevi temple located at Lumbini garden where Mayadevi gave birth to Lord Buddha. We can observe the ancient inscription on Ashoka Pillar suggesting Lumbini as the Lord Buddha’s birthplace. We immerse ourselves in the spiritual environment of Lumbini and meditate. We return back to the hotel after the sightseeing tour around Lumbini and stay overnight. Day 07Visit to Deudaha and Tilaurakot.We drive to Deudaha from Lumbini which is the birthplace of Mayadevi (mother of Buddha). 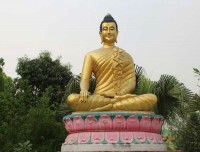 It is believed that Buddha often visited Deudaha during his childhood days and Buddha also offered his teaching at Deudaha after enlightenment. We can visit the park at Deudaha which has a 7 feet tall statue of Lord Buddha. We move towards Tilaurakot which is about 1.5 hours of drive from Lumbini. 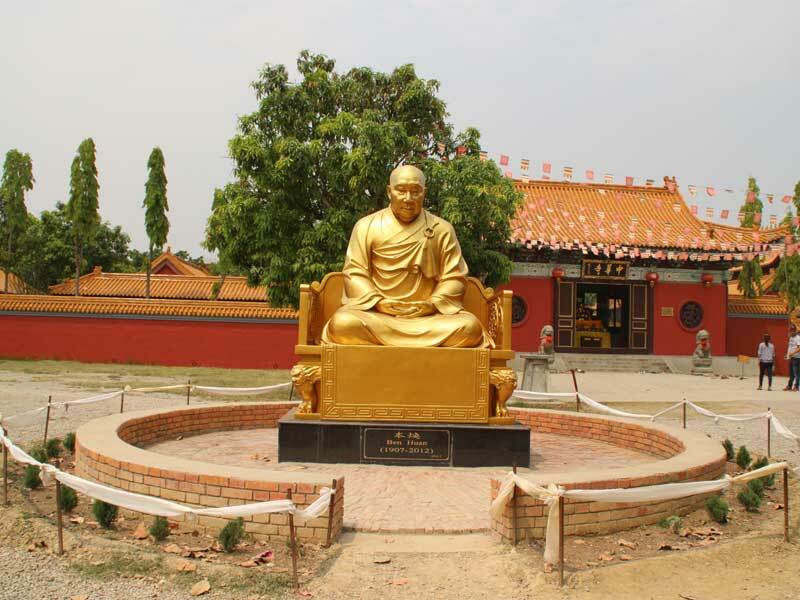 Tilaurakot is a historic town of Kapilvastu where Buddha spent 29 years of his life. We can observe the remains of the palace as thick walls and gates. 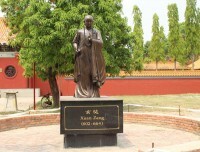 We meditate at this historic site and return back to Lumbini. We stay overnight at a hotel. Day 08Drive back to Kathmandu from Lumbini and enjoy farewell dinner.After the breakfast at the hotel we drive back to Kathmandu. Several commercial hubs, green pastures, rivers, forests and villages can be observed along the way to Kathmandu. After the long drive we arrive at Kathmandu and move in to a hotel. In the evening, we enjoy our farewell dinner at a traditional Nepali restaurant and observe Nepalese cultural dance. We stay overnight at a hotel in Kathmandu. Day 09Departure.Thank you for performing Buddhist Pilgrimage Tour in Nepal with Lovely Nepal Tours and Travel. Our representative will drop you to the airport for your final departure to the future destination. Above mentioned itinerary is just a guideline and can be customized according to your specific needs, comfort and time period. Transportation from Kathmandu-Lumbini-Kathmandu can also be done by air flight (if required).